I dusted off my long-neglected sewing machine on Saturday. I should have been making things for the CRAFT COUNTRY fair which I have a stall at in December, but instead I finished a project which (like many projects on my craft shelves) has been a work-in-progress for far too long and I was keen to get finished. I felt like making something for ME. 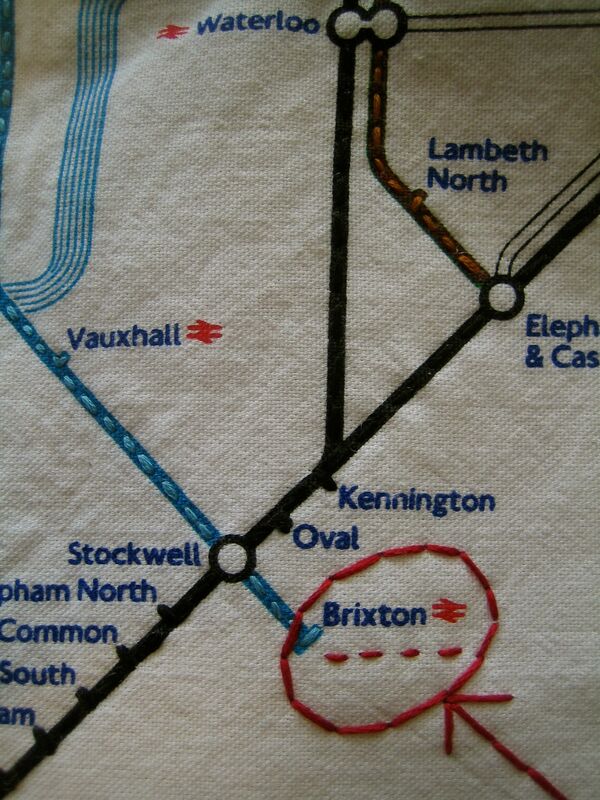 I bought a linen London tube map tea-towel from an op-shop years ago. It had never been used so was in pristine condition. I lived in London for a year in the 1990s, so feel great affection for the city and the tube map – which as anyone who has lived there knows, you learn like the back of your hand. I immediately thought I’d like to wad it and embroider along all the tube lines. 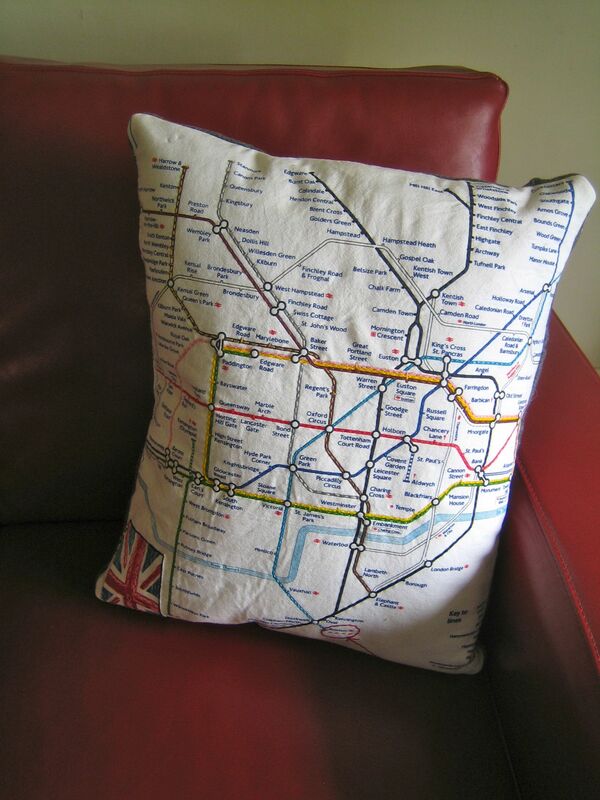 At that stage, I thought I would gun-staple it to a frame and hang it on the wall, but then I changed my mind and decided to make a tube-map cushion. Then, in a later op-shop session, I found a pair of cotton Marks & Spencer shorts made of Union Jack fabric, which I grabbed for the Union Jacks. 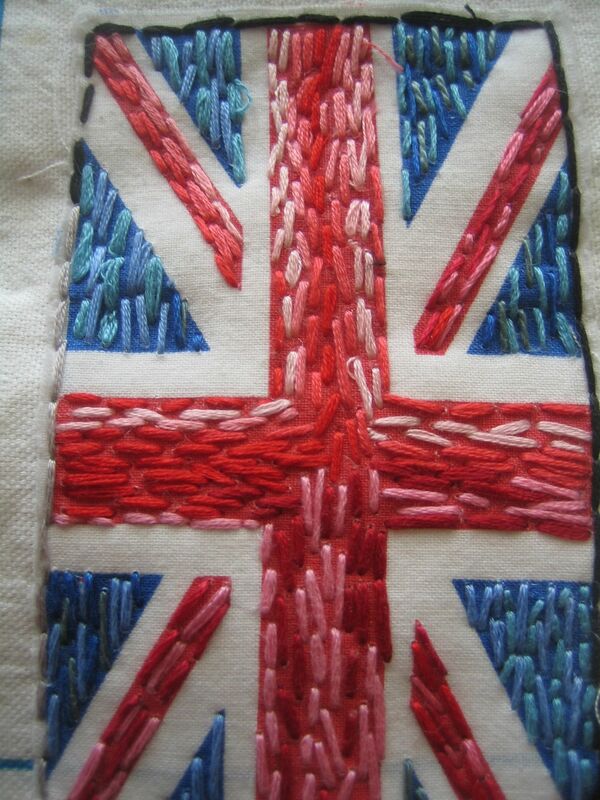 So to the corner of the tube map, I attached one of the cotton union jacks and embroidered it with coloured thread also. 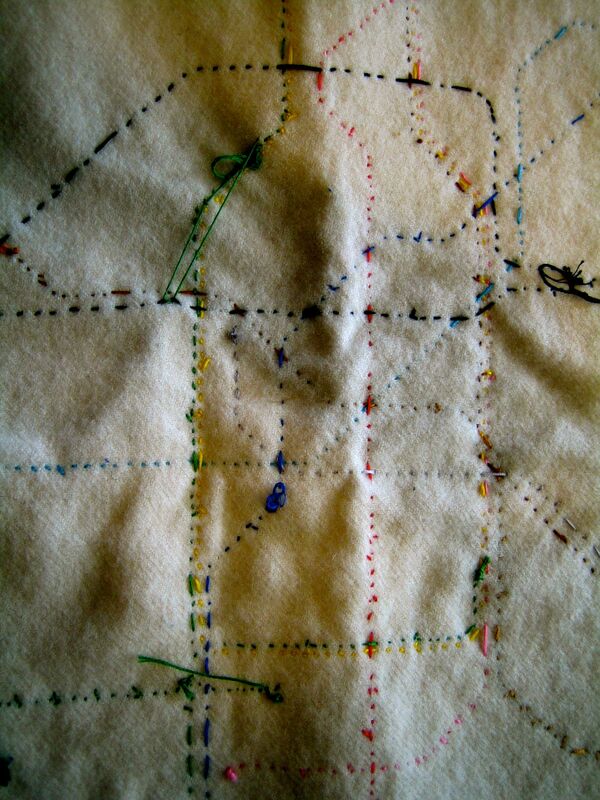 A friend who was visiting commented that she almost preferred the reverse of the map – an abstract ‘tube map in reverse’. I could see what she meant but I wasn’t persuaded. I really enjoyed stitching along all the tube lines – as I stitched, in my head I revisited all the places I had been on those lines. I highlighted in thread the tube stop most significant to us – the place we lived: Brixton. I used my favourite material for cushion backs – grey army blanket – for the back of the cushion. It felt good to finish a WIP (work-in-progress) I’ve been working on for a long time. It made me want to tackle my WIP pile. Mind the gap! You’re a crafting genius! That is so beautiful. Thanks, Melissa! We spent a lot of time in Lambeth, it is a great, characterful part of London.